Francesco Petrarca (1304–1374), one of the greatest of Italian poets, was also the leading spirit in the Renaissance movement to revive the cultural and moral excellence of ancient Greece and Rome. This two-volume set contains an ample, representative sample from his enormous and fascinating correspondence with all the leading figures of his day, from popes, emperors, and kings to younger contemporaries such as Cola di Rienzi and Giovanni Boccaccio. 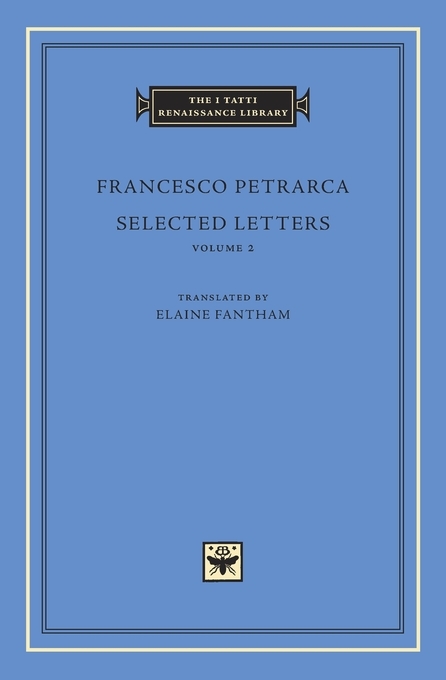 The letters illustrate the remarkable story of Petrarca’s life in a Europe beset by war, plague, clerical corruption, and political disintegration. 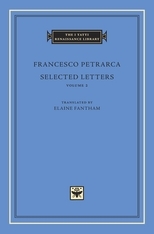 The ninety-seven letters in this selection, all freshly translated, cover the full range of Petrarca’s interests, including the rediscovery of lost classical texts, the reform of the Church, the ideal prince, education in the classics, and the revival of ancient moral philosophy. They include Petrarca’s imaginary correspondence with the ancient authors he loved so well, and his autobiographical Letter to Posterity.